Mattex Carpet Backing Systems manufactures a wide range of primary backings, using first grade raw materials and the latest production techniques. 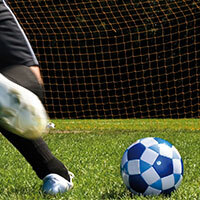 This allows us to offer a first class product with consistent quality. Coloured weft yarn insertion with one meter intervals as index tool to control parallel machine input. Specially developed for carpets with geometric patterns, repetitive and complex designs. Enhances straight rolling and unrolling. Facilitates straight sewing from roll to roll. Combination of specially designed warp and weft tapes. Optimizes definition for the printed carpet industry (Chromojet). Secondary carpet backing of which the most unique characteristic is the use of air-textured continuous filament yarn. 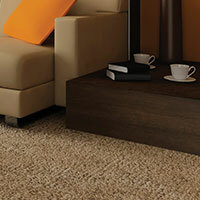 This yarn optimizes the adhesive distribution, contributing to efficient carpet finishing. Can be used for FIFA* and FIFA** applications! For use in hockey and tennis construction. Sand filled or sand dressed. Mattex’s modern, state-of-the-art weaving equipment in Dubai offers a tremendous advantage to geotextile customers due to the high speed of our yarn and fabric production and our consistent high quality, with roll after roll uniformity. Also, Mattex recruited geosynthetic experts, with up to 25 years of geotextile experience, to direct the development, manufacturing and marketing of our geotextiles. Mattex entered the geosynthetic market with woven geotextiles, meeting the AASHTO specification M 288 Class 1 and Class 3 wovens. These woven geotextiles are used for separation and stabilization of pavements and unpaved roads, erosion control, reinforcement of earthen structures, and for separation and support in other civil engineering applications. Our research and development resources allows us to rapidly expand into the production of a wide variety of other woven geotextiles for other markets, for applications such as filtration, high strength reinforcement, and shoreline protection. Mattex’s vision is to rapidly grow the geotextile business and to expand into the manufacture and distribution of other geosynthetic products. 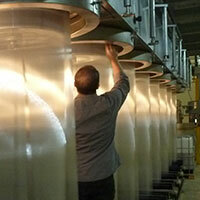 Mattex Geosynthetics invested in 2011 in a high performance fibre and non-woven production facility in Al Jubail – KSA. A further expansion is already foreseen and Mattex Geosynthetics will become a significant member of the worldwide geosynthetic community. We are currently seeking dedicated geotextile distributors around the world, interested in growing their business with ours.